Refer to the image above. 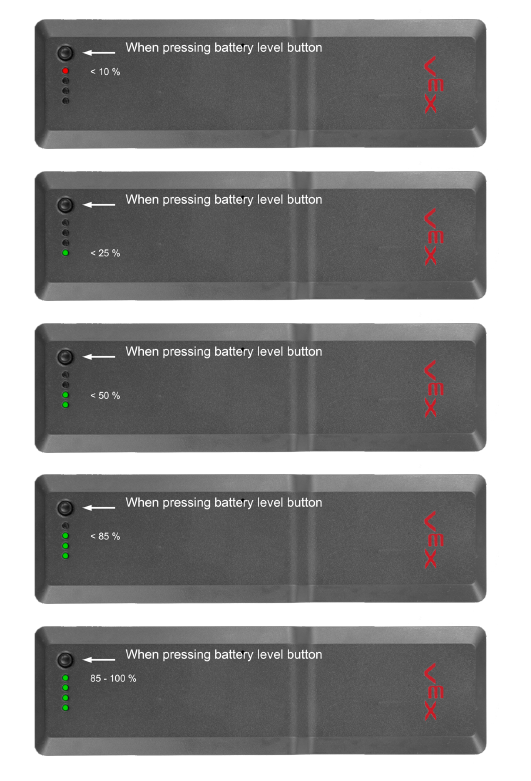 There is a description written next to each of the green flashing lights that explains the battery charge stages. NOTE: As the charge progresses, the number of green flashing lights will increase. When the battery is fully charged, all four lights will be illuminated for a brief time and then turn off. All four green LED lights will flash once every five seconds when the battery is charged while still connected to the charger. Press the black, circular battery gauge button to view the charge of battery. Refer to the image above. 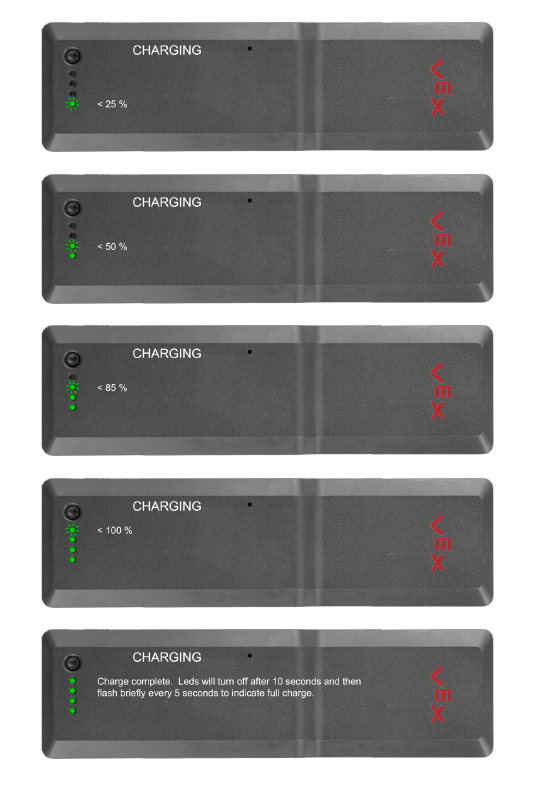 There is a description written next to each of the green flashing lights that explains the battery charge stages when it is discharged.